EDI integration with QuickBooks gives you the ability to receive purchase orders from your customers. It is easy to install & use and have a small footprint on your desktop. Your transactions will be sent directly to us, so we can make sure everything is properly set before we actually send it to your trading partners. QuickBooksXchange, our QuickBooks EDI software is as easy to use as e-mail, and is the best EDI software for QuickBooks you will find in the market today. It will eliminate all data entry when sending or receiving EDI transactions; it will also validate and do all checking for the data you entered before any processing and verify that all your partner requirement are matched so you will not have to deal with charge-backs. Amosoft QuickBooks EDI Integrator joins the intensity of our cloud EDI, WebEDI with QuickBooks Desktop or QuickBooks Online. 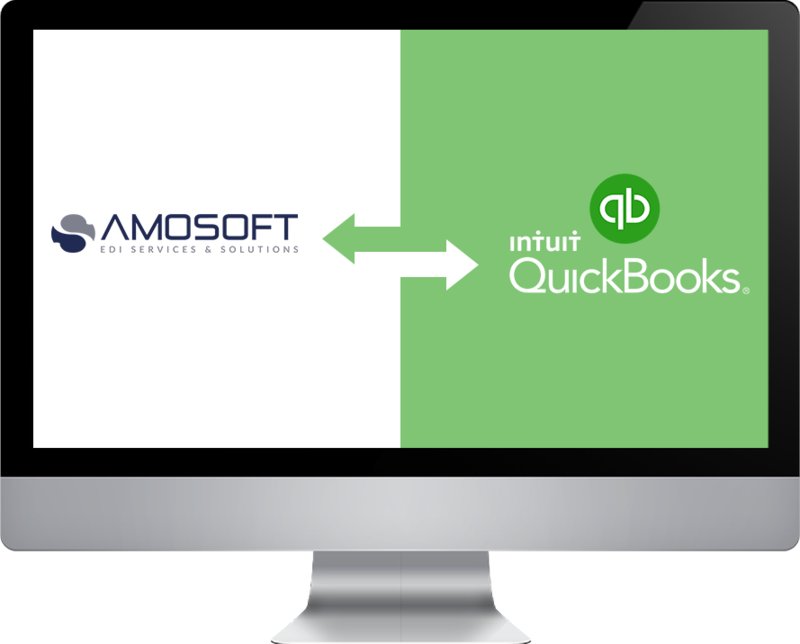 Accomplish instant QuickBooks EDI Integration with Amosoft that is both reasonable and easy to utilize. Diminish time and work by streamlining your EDI transaction preparing with the incredible, simple to-utilize, WebEDI, and QuickBooks. Real retailers and numerous clients require EDI because it takes out keying mistakes, accelerates the request satisfaction cycle and lessens the expense of preparing exchanges. You can have these similar points of interest for your business with us, a solution intended to make EDI proficient for private ventures. Develop your organizations effectively by alternatively interfacing with 3PL's, distribution centres, inventory frameworks, and delivery supplier's frameworks, for example, UPS WorldShip and Federal Express. Advance Ship Notices (ASN's) and labels that meet your clients' prerequisites are incorporated into the arrangement. Peruse a QuickBooks contextual analysis. Ensure purchase orders data is accurate and validated before importing to QuickBooks Ensure invoices data is accurate and validated before exporting out of QuickBooks Eliminate manual data entry errors Prevent costly and unnecessary charge-back fines Allow transparent data migration Liberate valuable resources. EDI buy orders can be interfaced with QuickBooks whenever 24 X 7. Purchase order, for example, thing, amount, value, the date for shipment, PO date, and more are imported. Orders can be printed. Request notices can be sent to the same number of individuals as required. Any EDI Order can be upheld and Broad approval is intended to catch mistakes that are the primary reason for chargebacks. Standardized shipping labels and marked slips can be imprinted on any printer. EDI orders can be interfaced into QuickBooks as sales receipts, deals orders, or as solicitations. Request satisfaction is encouraged by the help of UPC, SKU, purchaser thing number, and vendor product numbers. Advance Ship Notices (ASN's) and the related GS1-128 (in the past known as UCC-128) scanner tags shipping labels, slips for packaging or branded packing slips for dropship providers and pick records are incorporated. ASN fields are auto-dispatched from the buy request, and regular fields are pre-set with default esteems. Invoices are auto dispatched with information from Purchase orders, and if applicable, ASN's. Broad approval is intended to catch blunders and counteract chargebacks. Any EDI receipt is bolstered. Various invoices can be made consequently from numerous requests. If needed, purchase order lines can be split into multiple lines on invoices. All types of Order, ASN and solicitation summary listings are available and can be sorted and even can be filtered according to the requirements. On the final confirmation of ASN receipt and invoice receipt which is available online to confirm EDI clients that they have received transactions that have been sent. Any EDI transaction type required by an EDI client is bolstered including purchase order, ASN, invoice, purchase order change, purchase order acknowledgment, inventory inquiry, distribution document, logistics document, warehouse order, warehouse shipping notice, and functional acknowledgment. EDI compliance with customers in any industry is bolstered including retail, grocery, pharmacy, healthcare, automotive, shipping and transportation, industrial, wholesale / distribution and trucking solutions. Why choose our QuickBooks EDI software? 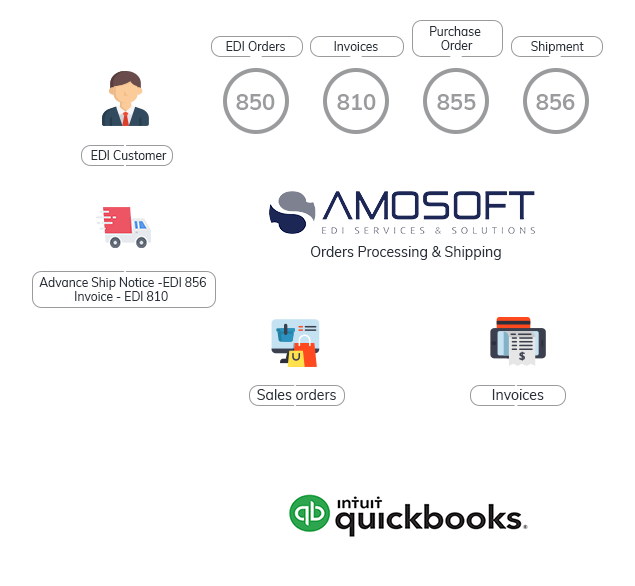 With Amosoft QuickBooks software you will get the peace of mind that comes when you get a robust software solution from an EDI expert company that lead the EDI market today with new product & services. Our software will work on Windows XP and all later versions for Windows PC. Our QuickBooks EDI end-to-end software solution will turn your company into an EDI compliant and have you up and running it quickly so you can do business with all those customers that require EDI compliance. QuickBooksXchange is as easy to use as e-mail. All you need is Windows PC and Internet connection. 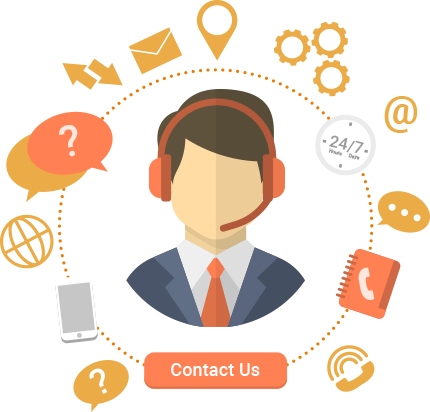 We will take care of everything else Call Amosoft EDI Services consultant today for more information about the benefits of integrating your QuickBooks with EDI.